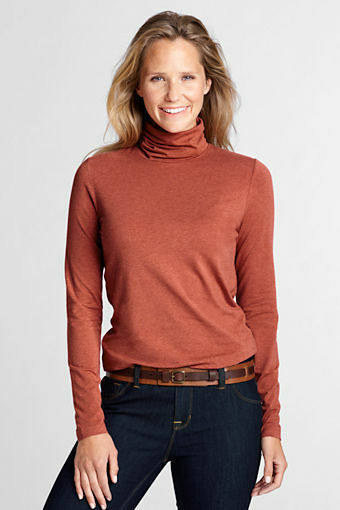 Dear Chilly: We know turtlenecks, so you’ve come to the right place! 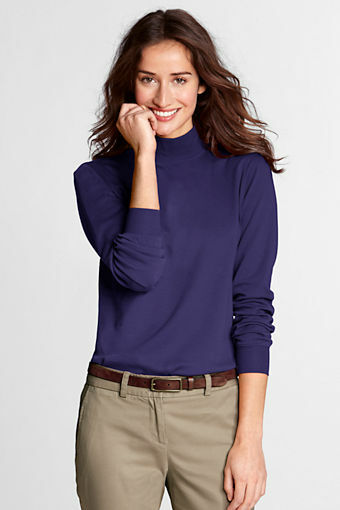 Generally speaking, we love Lands’ End for turtlenecks. The quality is top-notch, the choices in terms of color, pattern and size are many, and they guarantee your purchase. Sign up for their email updates and you’ll get a daily deal — 40 percent one item, 20 percent off a whole order, free shipping and more. 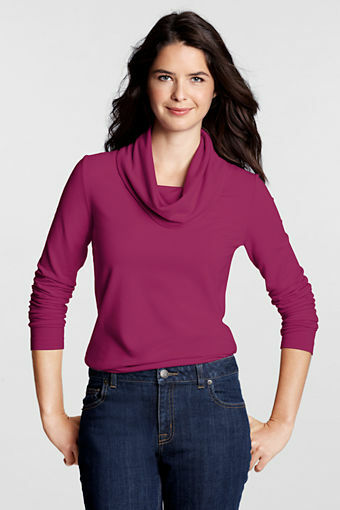 Lands’ End does carry a couple of cowl tees, mock turtlenecks (which offer warmth without strangulation) and long-sleeved fitted tees.